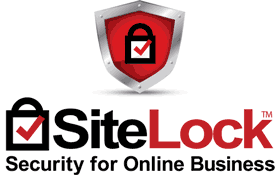 By scanning websites from the outside in and the inside out, SiteLock finds vulnerabilities that can harm online businesses and their visitors. The Sitelock website firewall blacks bad bots and prevents attacks. It also accelerates website performance with advanced content optimization and a robust global CDN. More than 83% of website attacks were targeted and 49% of them included malware. SiteLock learns about new forms of malware and removes it automatically. What is it? SQL injection, is an extremely damaging attack in which hackers will attempt to access information stored in your database, such as customer data or user ID’s and passwords. SQL stands for Structured Query Language and is the programming language understood by databases. By inserting commands from this programming language into fields on your website’s input forms, hackers can gain access to the database records of vulnerable sites, stealing credit card data, passwords, e-mail addresses and any additional data available in the database. The impacts of this type of attack can be devastating. A recent example is the attack carried out on Sony’s networks, in which thousands of credit cards were stolen. The company has spent millions to recover. It can also badly damage your company’s reputation by exposing your customers’ private data to criminals. Our patent-pending 360-degree scan technology tests each input box on your website to ensure that they are not vulnerable to this type of attack. We verify the safety of each input box on your website by inserting code in the way hackers would. We do not read or collect any data, however. We use safe test procedures and code and if we discover a vulnerability in our testing, we report it to you immediately. Our Expert Services team can also help you remove these issues from your site. Make sure any applications you use are kept up-to-date and limit the use of third-party plug-in’s where possible as they can be a source of many issues and may be updated less frequently or created by unscrupulous publishers. Use a website scanning service that includes SQL injection scans, such as SiteLock Premium or SMB. If you are writing your own code, be sure to validate your input fields for special characters and ensure you are checking for this type of hacking in your database procedures called from the website. Cross-Site Scripting, or XSS, is a type of attack used by hackers to control the content of your web pages. Hackers will insert a piece of code into your site, usually through an input field such as a search box, user ID, or Name/Address box. If your website is vulnerable to this type of attack, the hacker can control the content of your page, including the user’s cookies or session variables. Our patent-pending 360-degree scan technology tests each input box on your website to ensure that they are not vulnerable to this type of attack. We verify the security of each input box on your website by inserting code in the way hackers would. Instead of taking over your page, though, we simply use harmless test procedures. Make sure any applications you use are kept up-to-date and limit the use of third-party plug-in’s where possible as they can be a source of many issues and may be updated less frequently or created by unscrupulous publishers. Use a website scanning service that features XSS scripting scans, such as SiteLock Premium or SMB. If you are writing your own code, be sure to validate your input fields for special characters and ensure that the settings for your code are frequently updated and hardened for security. You can also take advantage of SiteLock’s Expert Services team to correct any issues we identify in our scans. Our scanners identify applications you have installed and which version you have. We compare that to industry and proprietary lists to determine the security of your installation. If we discover a vulnerability in our testing, we report it to you immediately and can help you upgrade your and improve your website security. Make sure any applications you use are kept up-to-date and limit the use of third-party plug-in’s where possible as they can be a source of many issues and may be updated less frequently or created by unscrupulous publishers. Use a website scanning service that includes Application vulnerability scans, such as SiteLock Premium or SMB. Our scanner reviews all files and applications on your website against industry and proprietary databases of virus software. If we identify a virus on your site, we notify you immediately and can help you remove it. Use a website scanning service that includes virus scanning, such as SiteLock Enterprise. Malware blacklist monitoring: We monitor search engine and proprietary lists of sites reported as malware to make sure visitors arrive at your site, not a “Red Screen” warning from their browser or search engine. E-mail spam blacklist monitoring: We compare your e-mail address, domain name, and e-mail server to industry and proprietary lists used by popular e-mail programs to identify which messages to mark as “Spam”. This ensures that your e-mails reach your customers’ inbox – not their spam folder. Network servers have devices on them known as ports. Each port is set up to understand a certain type of language. There are ports, for instance, for database applications, website content, e-mail, instant messaging/chat, etc. They are similar to channels on television or a CB radio. Each port is either open or closed to the outside world, meaning it will “listen” to requests for that type of service. If a port is open, it is an opportunity for a hacker to attempt to access data or files on that server. Some ports need to be open, such as the port for web content on your Internet server. Others should not be (like the e-mail or database ports on the same server). Opening unnecessary ports can expose sensitive data and systems to hackers. If hackers are able to access your network, the damage they can do is extensive. Depending on what parts of the server/network they reach, they could steal data, deface your website, or worse. We check each port (thousands) on your servers to make sure that only the appropriate ones are open for the type of server you are using (e-mail ports for e-mail servers, web ports for web servers, etc.). We’ll notify you if anything looks out of the ordinary so you can correct the issue.website security intact. Close all unnecessary ports. Make sure your ports that are open are protected using strong security. Use a website scanning service that includes network scanning, such as SiteLock Premium or SMB. Our Expert Services team can also help you lock down your network to prevent attacks.